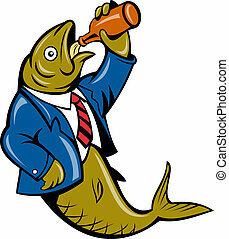 Cartoon trout fish beer mug. 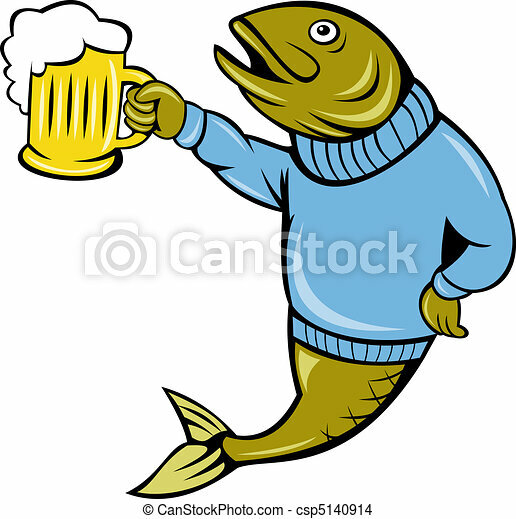 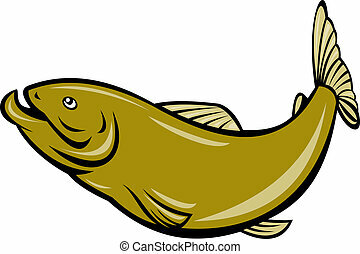 Illustration of a cartoon trout fish wearing sweater holding a beer mug isolated on white. 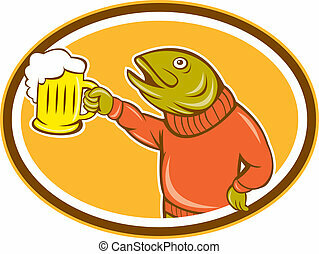 Illustration of a trout fish holding beer mug viewed from the side set inside oval on isolated background done in cartoon style. 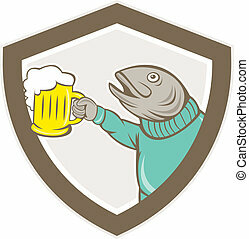 Illustration of a trout fish holding beer mug viewed from the side set inside shield crest on isolated background done in cartoon style. 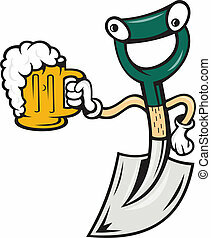 Illustration of a shovel holding beer mug on isolated background done in cartoon style. 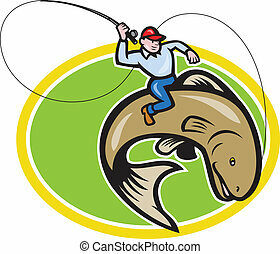 Illustration of a trout fish jumping set inside circle on isolated background done in cartoon style. 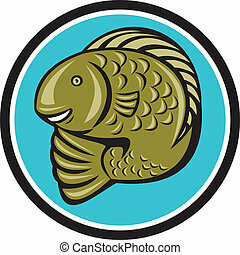 Illustration of a trout rainbow fish jumping viewed from the side on isolated white background done in cartoon style. 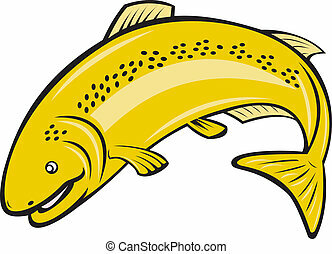 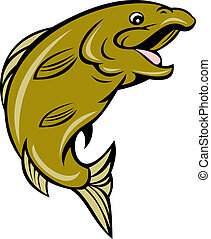 Illustration of a brown trout spotted fish viewed from the side on isolated white background done in cartoon style. 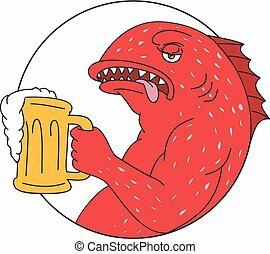 Drawing sketch style illustration of a coral trout, leopard coral grouper, or leopard coral trout, a fish in the Serranidae family holding a beer mug set inside circle. 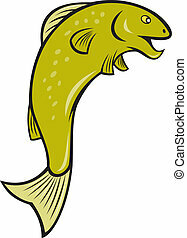 Illustration of a spotted speckled trout fish jumping on isolated white background. 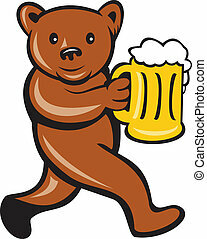 Illustration of a brown bear hloding a beer mug running viewed from side done in cartoon style set on isolated background. 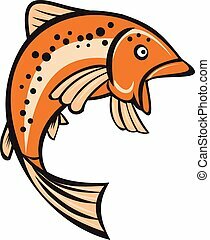 Illustration of a trout rainbow fish jumping up viewed from the side set on isolated white background done in cartoon style. 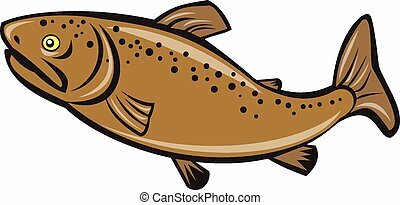 Illustration of a fly fisherman holding rod and reel riding trout fish set inside oval shape done in cartoon style on isolated background.